Home » Buddhism » News » AMAZING! 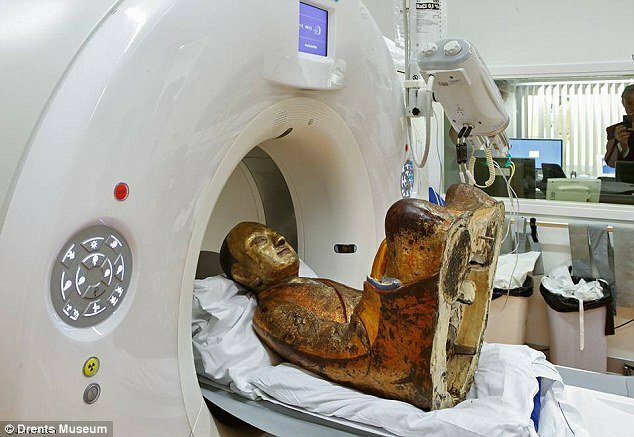 CT Scan reveals 1,000-year-old mummified monk hidden in statue! AMAZING! 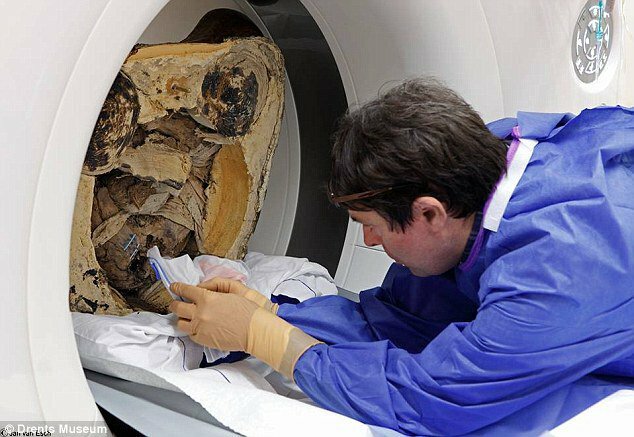 CT Scan reveals 1,000-year-old mummified monk hidden in statue! 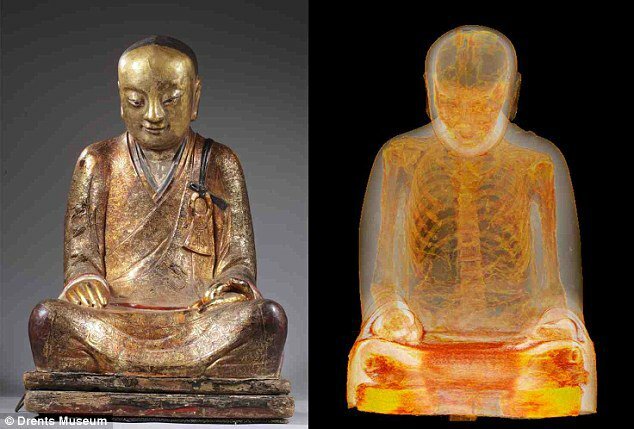 A statue of a sitting Buddha that made its way from a temple in China to a market in the Netherlands revealed an extraordinary secret — a 1,000-year-old mummified monk. Erik Bruijn, a Buddhism expert, led the study that determined the mummy was of Buddhist master Liuquan, who belonged to the Chinese Meditation School. The CT scan and endoscopy were carried out by Drents Museum at Meander Medical Centre in the Netherlands. The process of self-mummification is a known tradition in countries like Japan, China and Thailand, and was practiced over a thousand years ago. The elaborate and arduous process includes eating a special diet and drinking a poisonous tea so the body would be too toxic to be eaten by maggots. The few monks that were able to successfully complete the process were highly revered. “We suspect that for the first 200 years, the mummy was exposed and worshiped in a Buddhist temple in China… only in the 14th century did they do all the work to transform it into a nice statue,” said van Vilsteren. Researchers are still waiting on DNA analysis results in hopes to trace the mummy back to its exact location in China. The statue is now housed in the National Museum of Natural History in Budapest and will move to Luxembourg in May as a part of an international tour. This post was republished from thevintagenews.com You can find the original post here.